Every morning, a truly memorable buffet breakfast experience awaits guests at CORFU HOTEL Bella Mare. 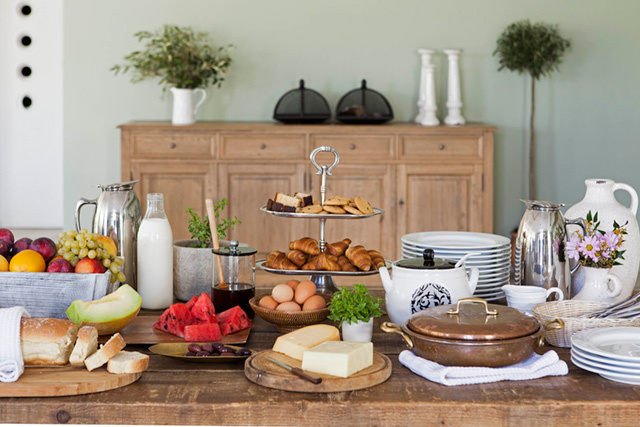 A traditional Greek breakfast full of pure, local goods is served with a view of the green CORFU hills and the picturesque cove of Avlaki beach. Accompany your thick Greek yogurt with mouthwatering antioxidant honey coming straight from a local Greek producer, indulge in the freshest summer fruit salad, pick your favorite baked goods and handmade cakes, prepare your own sandwich of hot bread, ham and regional cheeses. Or try out our homemade delicious cheese pies with crunchy “phyllo” pastry. The choice is yours! MHTE : 0829 Κ 03 4Α 00 Τ69 0 0. During the winter months you can contact us through email at: stay@belmare.gr.